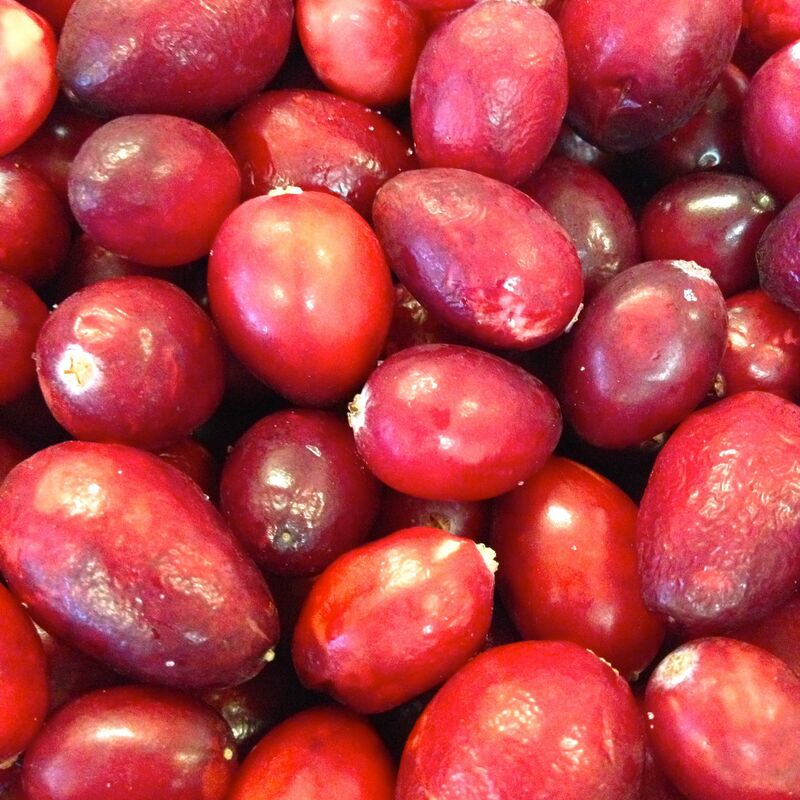 So here’s hoping that you have 4 cups of cranberries languishing in your freezer, so you can try these out. Put the orange juice in a measuring cup, and top up with water until you have ¾ cup of liquid. 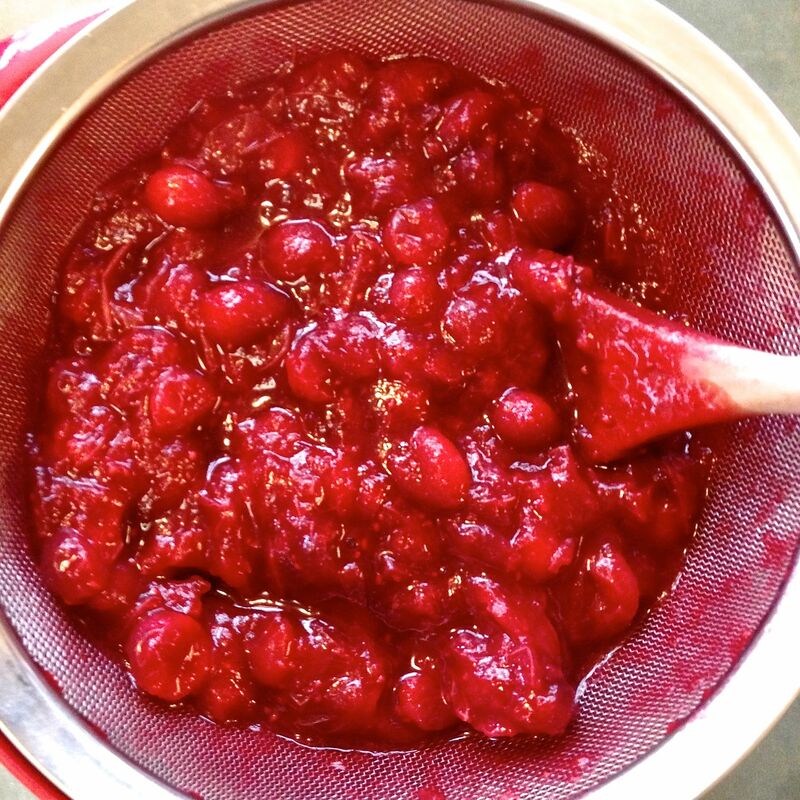 Place the cranberries and orange juice-water mixture in a pot. 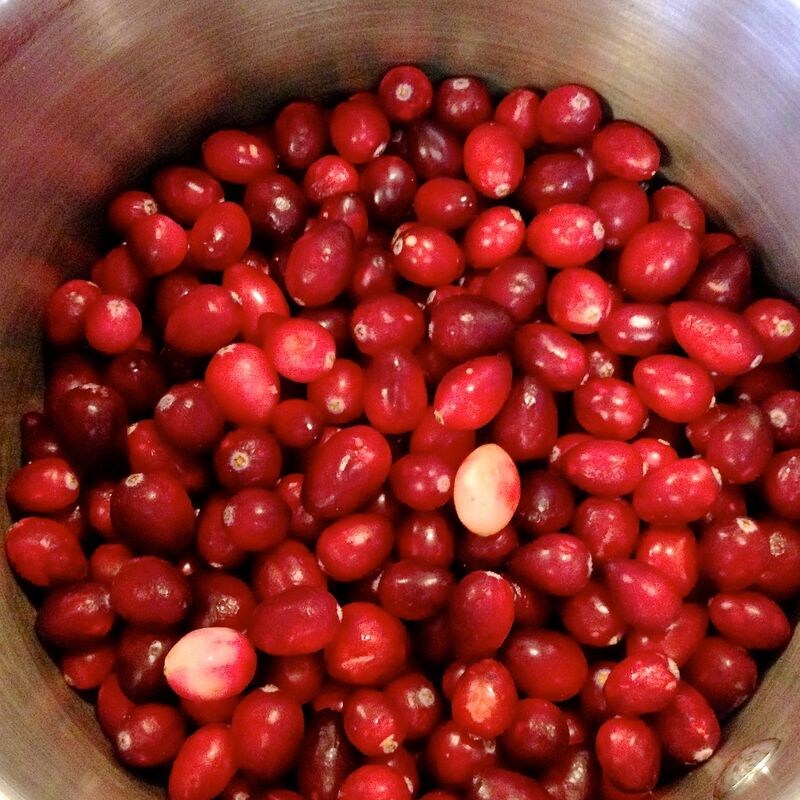 Cook over medium heat, stirring occasionally, until the cranberries have burst and the juices are running freely. 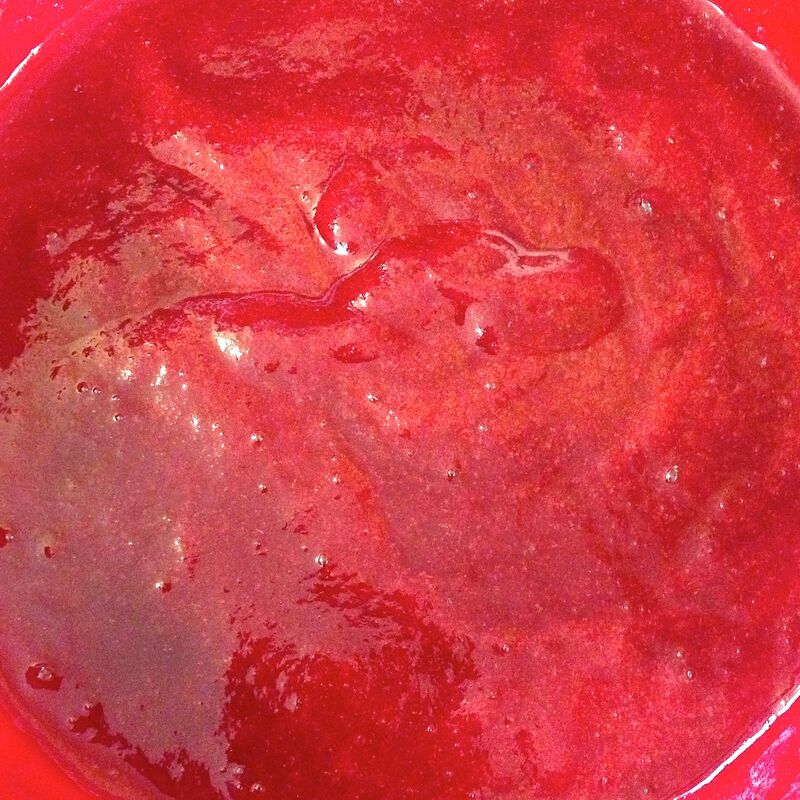 Pour into a sieve placed over a bowl. 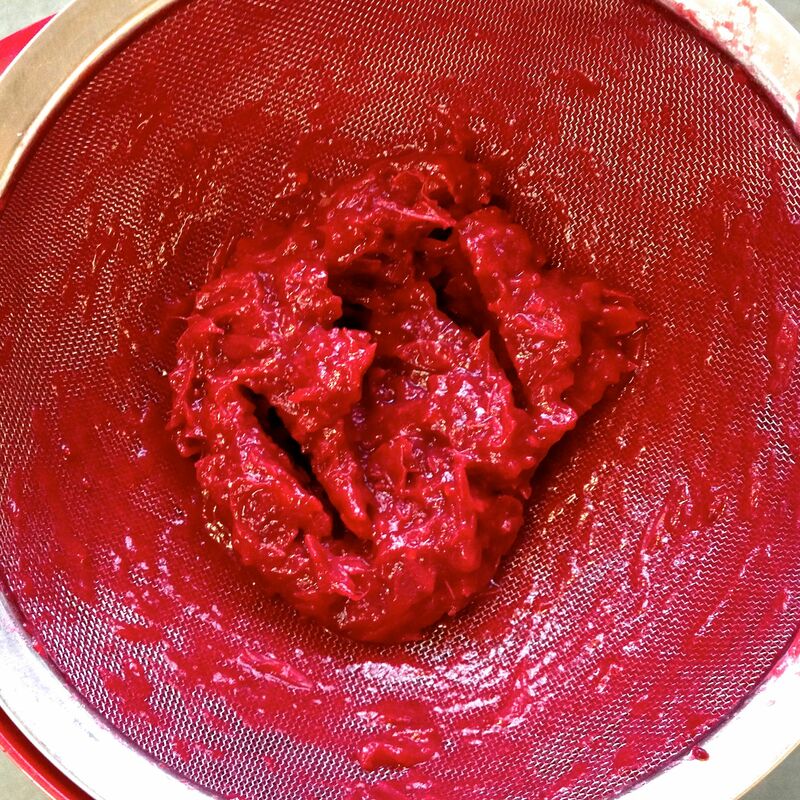 Push the pulp through using the back of a spoon, removing and discarding the seeds and skins. There will be a little more than a cup of pulp. Pulse the crust ingredients in a processor until no piece of butter is larger than a pea. 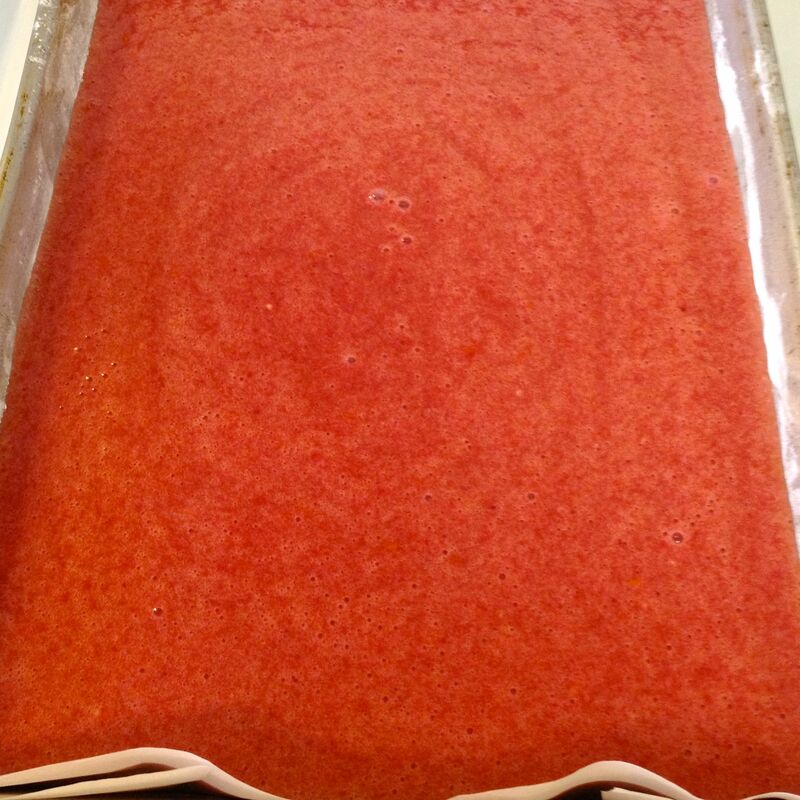 Line the bottom and ends of a 9” x 13” pan with parchment. 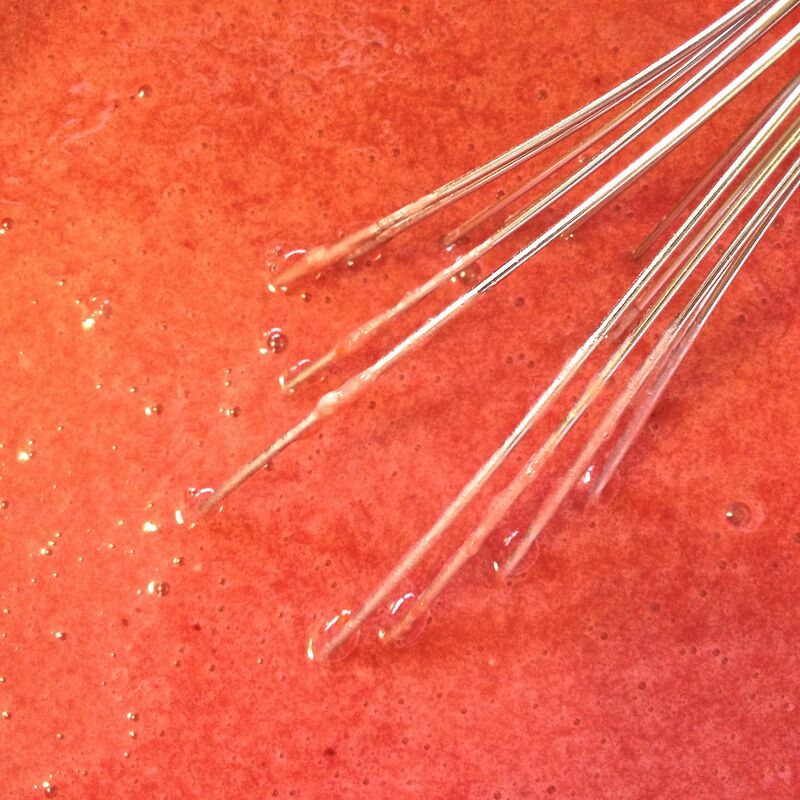 This is so it is easy to lift out the bars after cooling, for cutting. Spread the processed crust ingredients into the pan, pressing down with your hands. 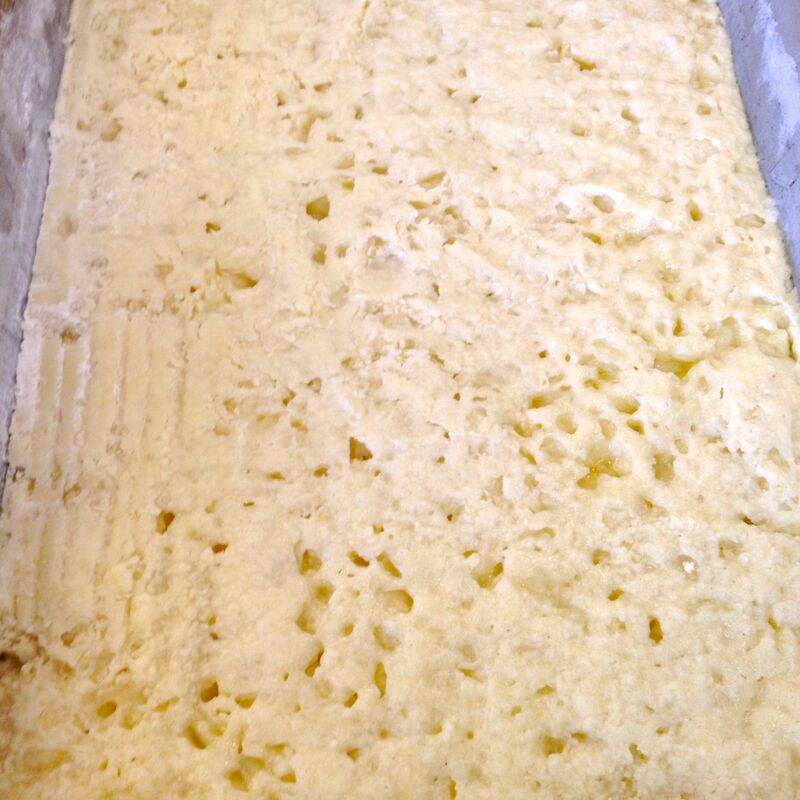 After baking for a couple of minutes, to show the butter throughout. 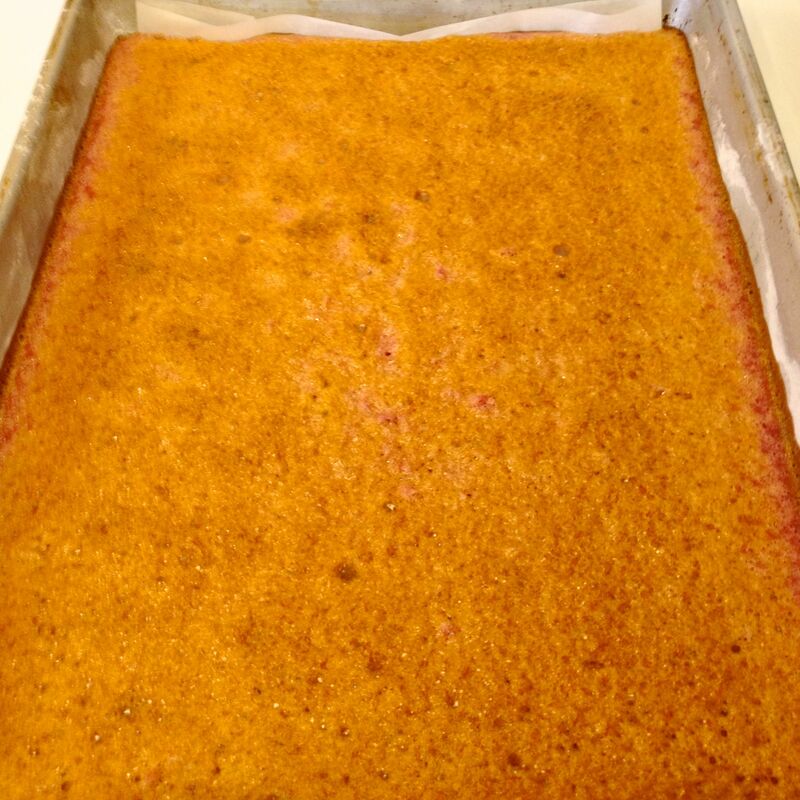 Also shows the parchment at the ends of the pan. While the crust bakes, mix up the filling. 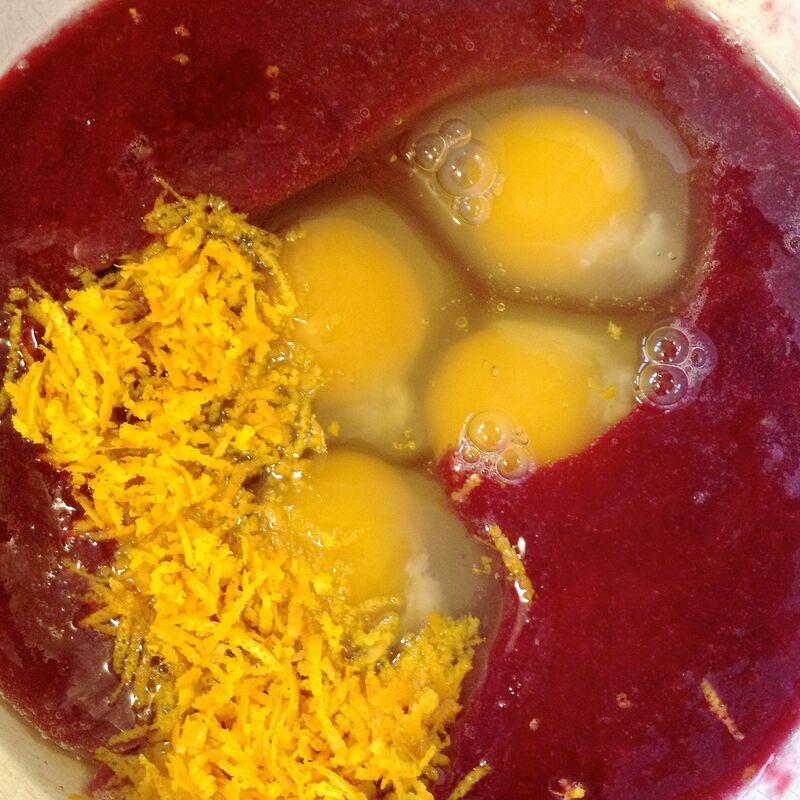 Whisk the eggs and orange zest into the cranberry pulp. 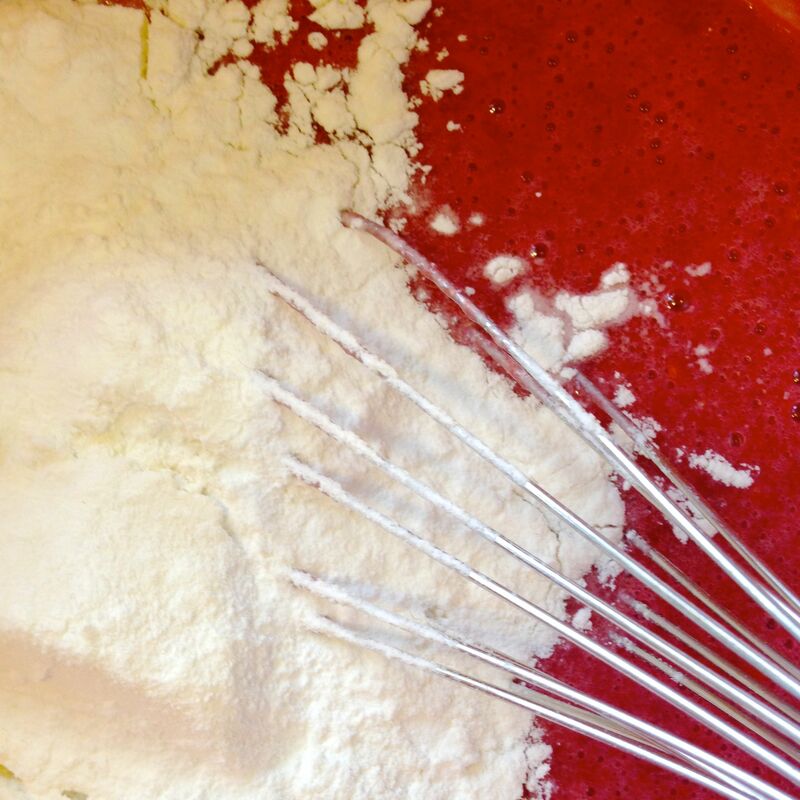 Lastly, whisk in the flour, baking powder & salt. Remove the crust from the oven when ready, it should be just tinged with colour. Return to the oven and continue to bake for another 30 minutes longer. Let cool on a rack, then chill. Run a knife down the long sides of the pan, releasing the sides of the bars. 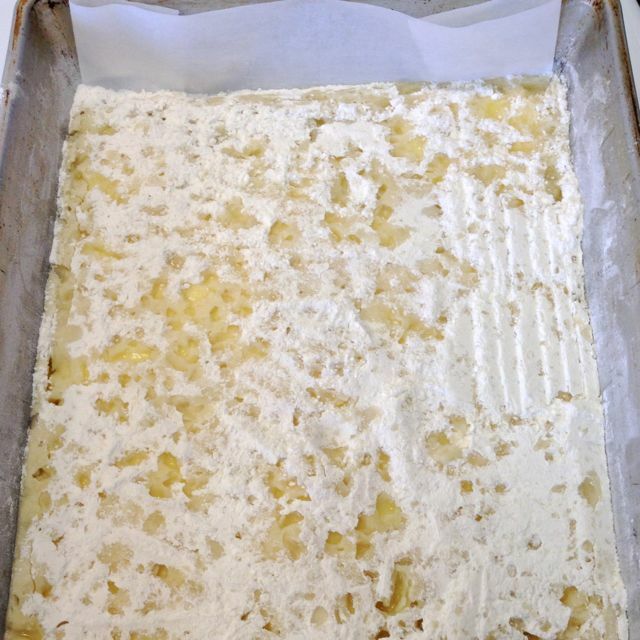 Using the parchment at the ends of the pan, lift the squares out to a cutting surface. Cut across into 8 long bars, and then cut each of those bars into 6 pieces. Store in a covered container in the fridge for up to 5 days. 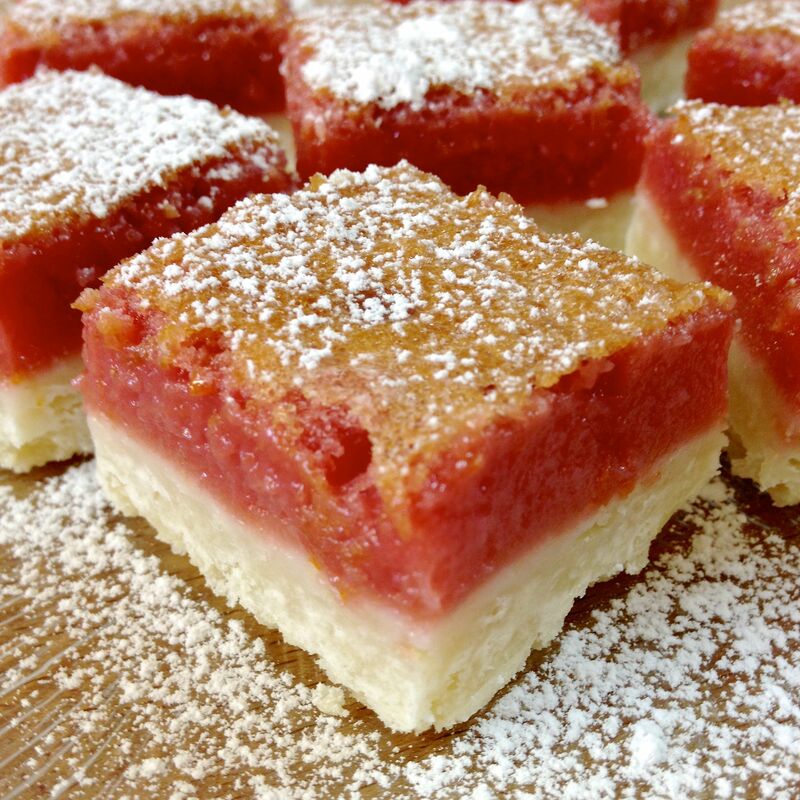 Plate the squares, and then dust with icing sugar using a sieve. 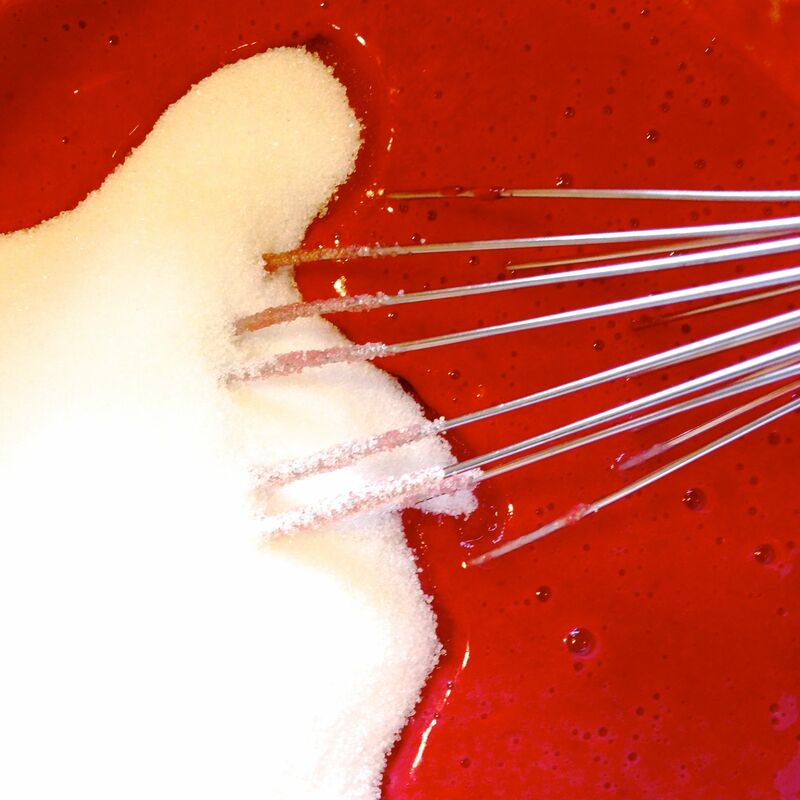 Hold the sieve about 10 – 12 inches above the bars so you get a dusting of sugar instead of clumps. They were delicious! Glad to have the recipe now!